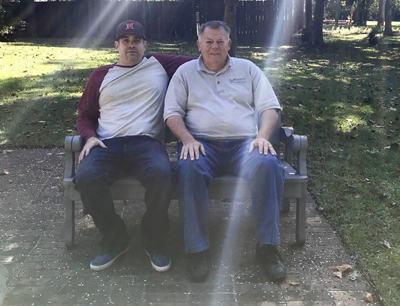 (Above) Founders of local addiction treatment charity collaborate to launch Beach House Recovery in Brunswick County, NC. It was a mission that began in the early 2000’s in the sanctuary of an unconventional ministry just miles from the beaches of Brunswick County. Open Door Ministries, led by pastor Larry Shreve, found itself at the center of a growing drug epidemic in the surrounding beach communities. People seeking hope were attracted by the atmosphere of love and tolerance, encouraged by programs such as Celebrate Recovery, granted scholarships to Christian addiction programs, and eventually housed and fed in rooms transformed to provide a makeshift shelter. Behind the scenes there were weekly meetings designed to realize the dream of a recovery campus in their own backyard. A Christian recovery movement was beginning to materialize. Open Door Ministries was established in 2002 to “reach out to a really hurting crowd of people.” The recovery community grew and the ministry prospered. There was explosive growth and miraculous recoveries. Once considered hopeless, Chad Shreve sobered up in 2008 after many attempts at inpatient treatment. He returned with a heart for service and a passion for the twelve steps that transformed his life. Several other success stories are mentioned in the Wilmington Star News link above. 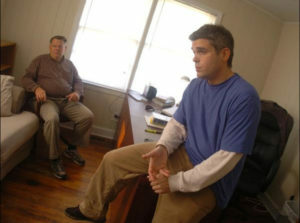 Fast forward to November of 2010, a photographer from the Wilmington Star News snaps this photo during an interview at the newly opened Brunswick Christian Recovery Center. Since that time, hundreds have received treatment with no regard for ability to pay. They, in turn, have helped still others. Please take a moment to view the original article available through the link above. Over the years the need became apparent for an emphasis on safe transitional housing for graduates of faith-based residential facilities, for others who suffered on waiting lists desperate for the next bed, for those who were cycling through recovery centers, released without resources, and returned to the streets from which they came. Aftercare was the new frontier. 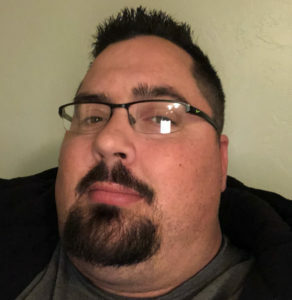 Chad Shreve resigned in order to focus exclusively on the dream of a recovery community without time frames or borders. He brought an emphasis on action based recovery and the new model of a ministry not defined by a building or property. Next was a dramatic shift in focus from biblical theory towards biblical application. The presence of a Certified Substance Abuse Counselor on staff became the new standard in faith based care. Years of experience with the most diverse programs in the region inspired an unconventional design. Not an alternative, the introduction of a new category. An intentionally different approach to Christian recovery was taking shape. Approval from the IRS followed with separate 501c3 status in 2018. Beach Recovery Church was planted and Pastor Jimmy Williams began to hold services for the men. Plans were released for a 3 stage, 12 month comprehensive recovery program. In 2019 the national code of ethics was adopted and the prominent RROC standards certification was awarded to the first Christian recovery provider in the region. Pastor Larry Shreve was soon named CEO of Beach Christian Recovery and the community spirit of Open Door Ministries was finally reborn. To have any real chance most will need structure, accountability, and individual treatment. But success requires opportunity, meaningful employment and truly affordable housing. This was the inspiration for Beach House Recovery, the next chapter in an evolving ministry. I want to start off by saying I owe my life to Chad Shreve and Larry Shreve. I was at a point in my life where I had nothing. My family cut me off and friends cut me off, everybody left me because of my addiction. It was me who brought everything down on myself but these guys took me in with open arms and showed me how to live a sober life and to be a productive member of society. I would recommend anybody struggling with addiction or alcoholism to contact Larry Or Chad. 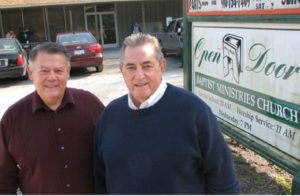 Manager for Operation 6:12, a faith-based drug and alcohol recovery center.